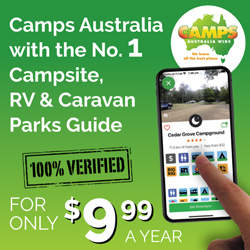 The content of this web site has been prepared responsibly and carefully, but freecampingaustralia.com.au disclaims all warranties, express or implied, as to the accuracy of the information contained in any of the materials on this website or on other linked websites or on any subsequent links. 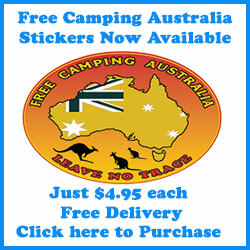 Freecampingaustralia.com.au makes no warranty as to the content, accuracy, timeliness or completeness of the information or that the information may be relied upon for any reason and bears no responsibility for the accuracy, content or legality of any linked site or for that of any subsequent links. Freecampingaustralia.com.au makes no warranty that the website service will be uninterrupted or error free or that any defects can be corrected. Freecampingaustralia.com.au shall not be liable for any losses or damages (including without limitation consequential loss or damage) whatsoever from the use of, or reliance on, the information in its website, or from the use of the Internet generally. 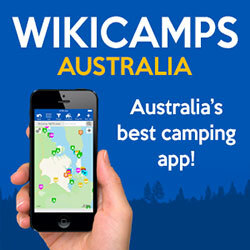 Any links to other Web sites does not constitute an endorsement or an approval by freecampingaustralia.com.au of any products, services, policies or opinions of the organisation or individual. At freecampingaustralia.com.au, we recognize that privacy of your personal information is important. Here is information on what types of personal information we receive and collect when you use and visit freecampingaustralia.com.au, and how we safeguard your information. We never sell your personal information to third parties. 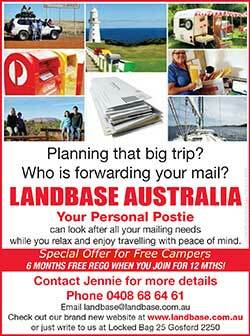 We also use third party advertisements on freecampingaustralia.com.au to support our site. 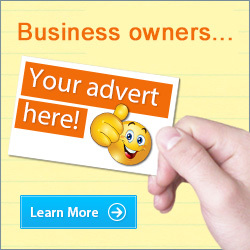 Some of these advertisers may use technology such as cookies and web beacons when they advertise on our site, which will also send these advertisers (such as Google through the Google AdSense program) information including your IP address, your ISP , the browser you used to visit our site, and in some cases, whether you have Flash installed. This is generally used for geotargeting purposes (showing New York real estate ads to someone in New York, for example) or showing certain ads based on specific sites visited (such as showing cooking ads to someone who frequents cooking sites). It is important to appreciate that freecampingaustralia.com.au‘s website provides links to other independent sites, but this policy and statement applies only to direct use of this website (www.freecampingaustralia.com.au). You will need to consult the providers of other websites for information on their policies.